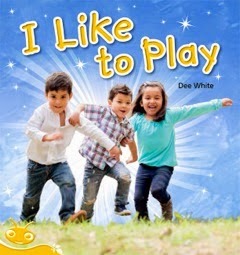 KBR is delighted to welcome author, writing mentor and friend, Dee White, with this glorious post on the art of writing low text books for kids. Enjoy! Last year I was commissioned to write a number of books for Pearson's Bug Club project. Bug Club books are interactive digital and print books designed to encourage new readers and to engage students who are having trouble learning to read. I remembered how tedious the readers were when my boys were at primary school so the Bug Club books appealed to me straight away. The Bug Club series focuses on introducing new readers to the truly magical world of books - creating titles that make kids want to read - that engage them with carefully-crafted words and beautiful illustrations. Not only are these books designed to deliver clear curriculum outcomes, they were also being created for the pure enjoyment of reading. And for me, that's where the fun and the challenge came in. How do you create very short books that don't seem like a 'lesson', that are fun to read? 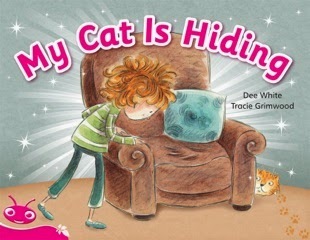 My Cat is Hiding and My Cat is Sleeping are for very new readers. So in less than 40 words I had to introduce them to the characters, Cat and Kid, and tell a very tiny story. The only way to tell a story in this few words is to rely on the illustrations. As part of the creation process, I had to write the text and provide a brief to the illustrator with my suggestions for the pictures. My two cat books were illustrated by the amazing Tracie Grimwood and she had the uncanny ability of being able to read my illustration notes and see inside my head. 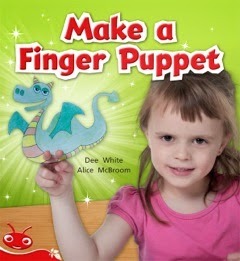 Her pictures on the page are exactly how I saw the story unfolding in my imagination. 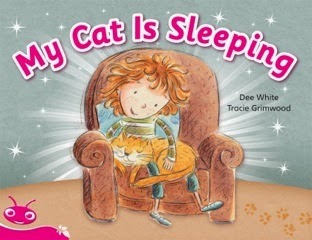 My Cat is Sleeping is one of my favourite Bug Club books, largely due to the humour that Tracie has brought to the illustrations of this very simple story. 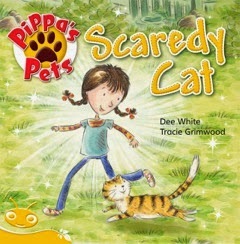 I was also fortunate to work with Tracie on the Pippa's Pets' series. 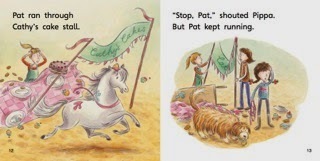 These books, Lost Dog, Scaredy Cat and Runaway Pony all feature Pippa and her dog, Dot, who can't help her loud, 'pleased to see you' bark. When I was asked by the publisher to write a series for girls, I thought back to the kind of girl I was - one who loved animals - who collected strays - who was always trying to perform some kind of animal rescue. So, the Pippa's Pets' series came quite naturally. I guess it had been there lurking in my subconscious for some time. The Pippa's Pets books are around 150 words each - not a lot of words to show a complete story arc. Even though the stories are short, my character still had to have a problem, obstacles to overcome and a resolution. So they needed a very simple plot idea. 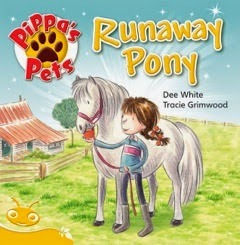 In the first book, Pippa finds a stray dog, Dot (inciting incident - the thing that starts the story off). Pippa wants to keep Dot, but her parents insist they try and find Dot's rightful owner (obstacles to what Pippa wants, which is to keep Dot). The resolution is a happy ending for Pippa when Dot's owners can't be found. Once again, the word count is so low that there's no room for description or excess text, so the stories rely on the fabulous illustrations by Tracie Grimwood to tell a large part of the narrative. 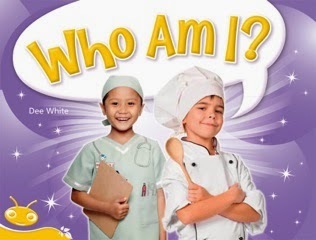 Some of my Bug Club titles were straight non-fiction, like Butterflies, How to Make a Finger Puppet, I Like to Play and Who Am I? These were probably simplest to write because they were basically a case of cutting my research back to the required word count. So I had to think about my target readership and their interests, and be a very ruthless editor. 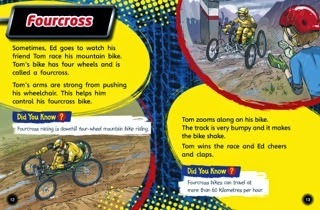 Probably the most fun non-fiction titles were the Extreme Ed's Adventures series. They were fun because I was able to incorporate my own experiences like skydiving and hot air ballooning into the writing process. These books also allowed me to add a little fiction into the mix. 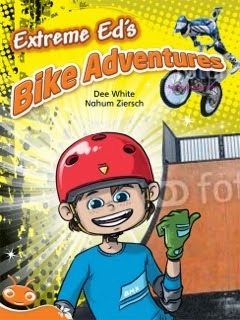 I created a narrator character, Extreme Ed, a boy who loves extreme sports. These books were to be between 500 and 600 words so I had more room to include a small story behind the facts. The research for these books was so much fun - in fact, it was hard to know where to stop. In Extreme Ed's Bike Adventures, I took Ed on a crazy bike race through the streets of Chile, over BMX jumps and rock jumping on a unicycle. 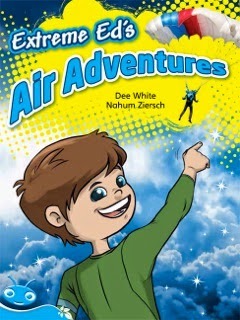 In Extreme Ed's Air Adventures, Ed learns about skydiving, wingsuit flying, hot air ballooning and bungee jumping. One of my favourite things about the Extreme Ed books was being able to introduce his friend Andy. Andy is in a wheelchair but that doesn't stop him from being able to skydive or race a fourcross (four wheeled) mountain bike. The publishers really liked this element of the books too. Nahum Ziersch brings Ed to life in these books. His illustrations are combined with photos and these give the books a 3D, contemporary feel that boys in particular will love. I'm hoping that older kids who are experiencing difficulties with reading will also enjoy these books. They were certainly fun to research and write. Writing these Bug Club titles was not unlike writing a picture book. You have a very limited number of words to tell your story, so you can't waste them. I had to give illustration notes for these manuscripts, but I tried not to be too prescriptive because you have to allow the illustrator to tell their side of the story. Bug Club Books are published by Pearson and you can find out more about them here. 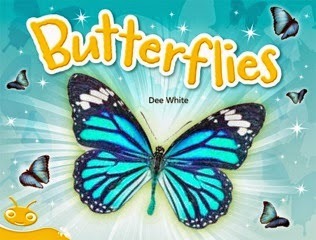 Dee White is the author of 16 books for Children and Young Adults. She is also a qualified writing teacher, has conducted writing workshops throughout various states of Australia and runs international online writing courses for kids and adults through Writing Classes for Kids. 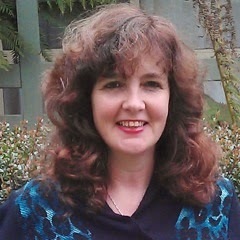 You can find out more about her and her resources for writers and teachers through her website. She also has regular tips for writers at her blog.